In the recent years, we’ve seen a rise of interest in post-Soviet aesthetics in the west. From Gosha Rubchinskiy and his Moscow skate boys to provincial Lithuanian discotheques and Kiev raves – it has an air of irresistible rough coolness. The catch is always the clash of Soviet past and modernity, yet actually living in the post-Soviet world involves much more than a background of tower blocks and stumbling upon an occasional Lenin monument. Growing up as part of one of the first post-Soviet generations means facing the deeper struggles of understanding who we are. Russian photographer Egor Rogalev tried to document this process in his project Synchronicity. At the start of the project, Rogalev was interested in tracing similarities in the lives of his peers in different post-Soviet countries, and also exploring his own sense of belonging. With relatives in Ukraine and Poland and lots of friends in Ukraine’s capital Kiev, he’s always felt a strong connection to the country. “I took most of the photographs for this project in Kiev”, he remembers. “But I also used a small number of the photographs that were made in other parts of the Soviet area like Minsk and Moscow because I felt that they do relate to the same issues, (and) have the strong sensation of the invisible catastrophes in them”. Apart from raising crucial political and historical questions, Synchronicity has a deep emotional impact. 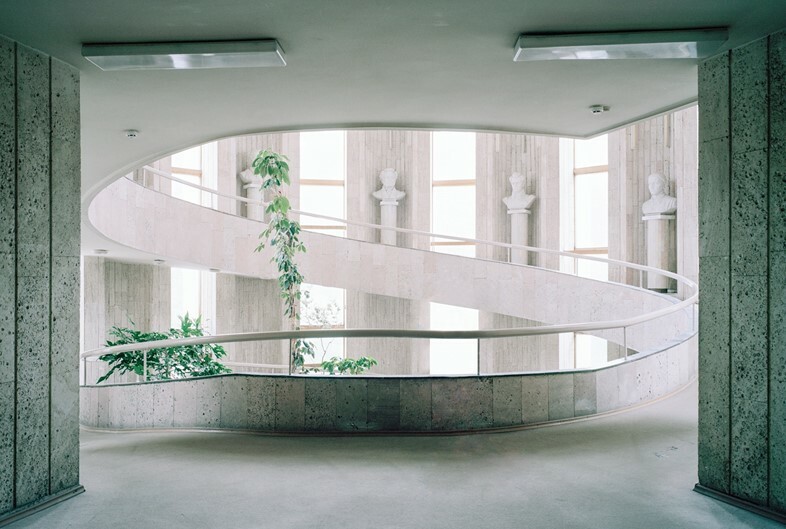 Rogalev captured the grandeur of monumental structures built for utopian ideals, dreamy landscapes of housing estates, random moments which uncontrollably trigger memories. But the central element, of course, is the portraits of young people from his generation; self-absorbed, lost, happy, in love, all who live within these settings. The connections in the project are intuitive and the narrative not linear, it shows unmistakably that it’s filtered through personal experience. So does the idea of post-Soviet still makes sense for the young people? “I think our world is becoming so globalised that soon young people in all the countries won’t differ from each other that much. But for post-Soviet countries, of course, we share the same traumas, and we are still involved in the same collapse. It’s just the governments that have chosen the different ineffective ways to deal with those things”.